This is the First and Only product that keeps your hands from being Burned when removing Hot and messy pan lids from the pan and placing on the counter. 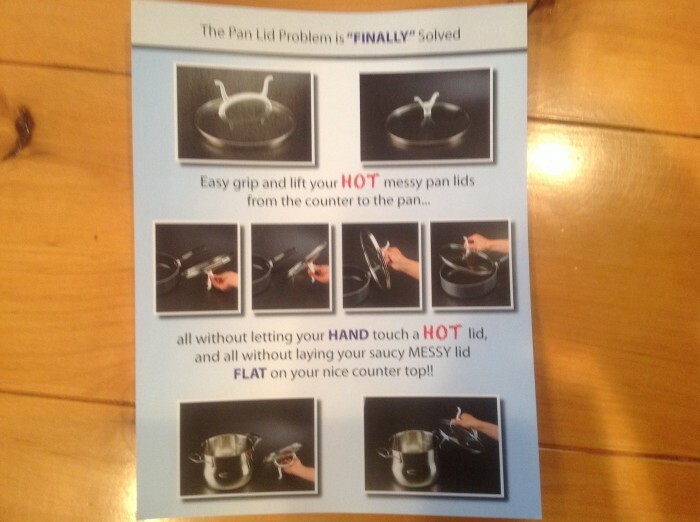 The pan handles keep the lid at a perfect angle set upside down on the countertop as to make it easy to remove your hand without being Burned.....It also keeps the Hot and Messy sauces in the lid by not having to lay the lid flat on the counter. 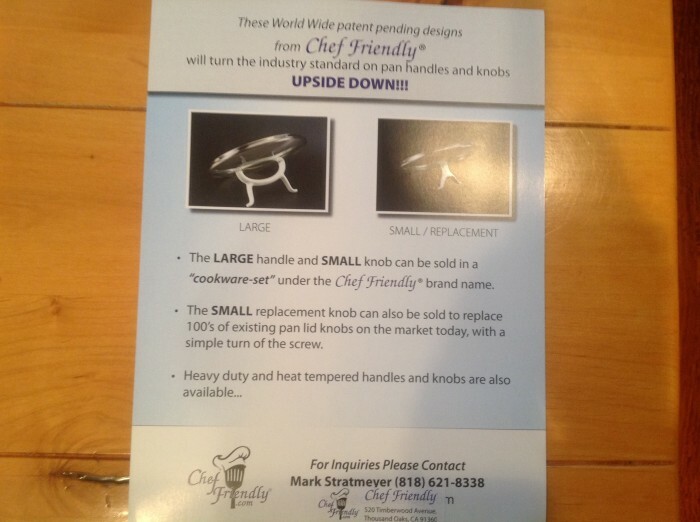 Most Cookwear sets have very cheep Handles. 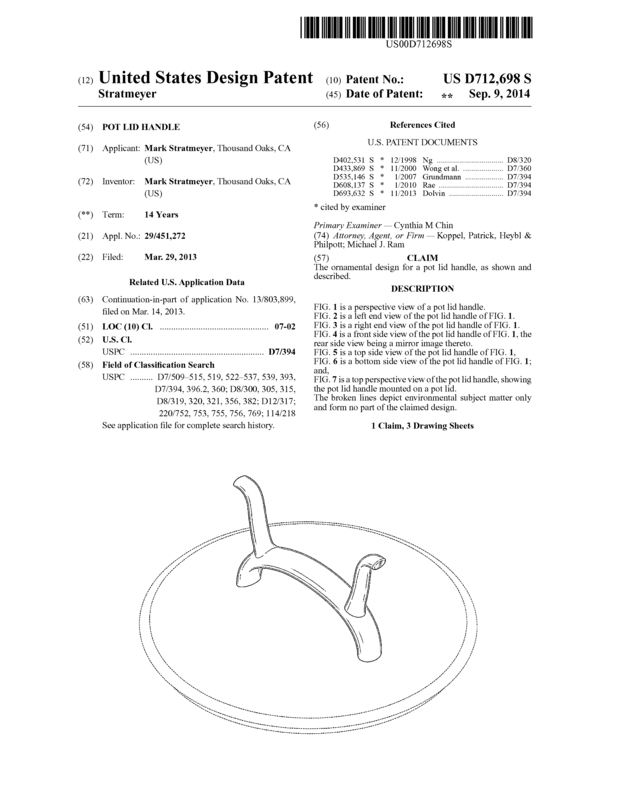 A short run of the product has already been done...... 2 Patents on Handles....Open to License with royalties, Outright Sale, or Partnership. 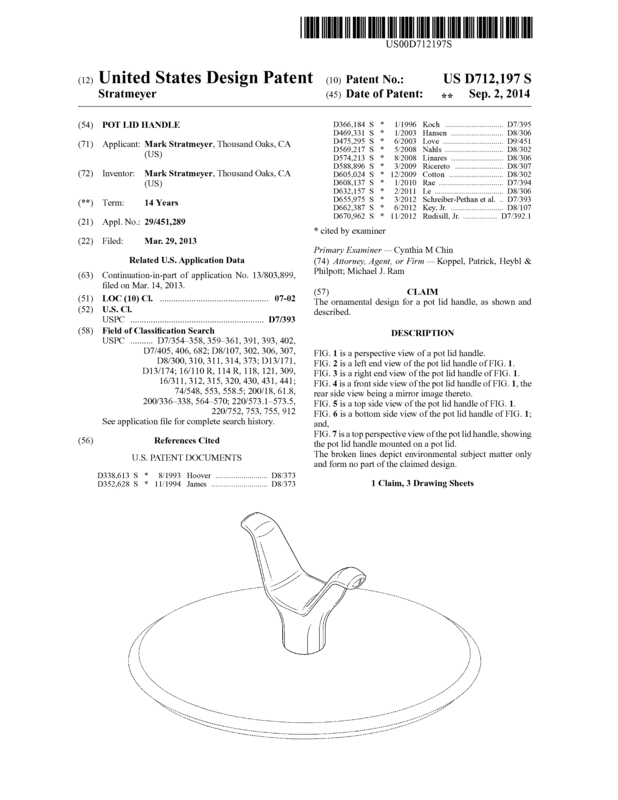 Page created at 2019-04-21 4:35:55, Patent Auction Time.